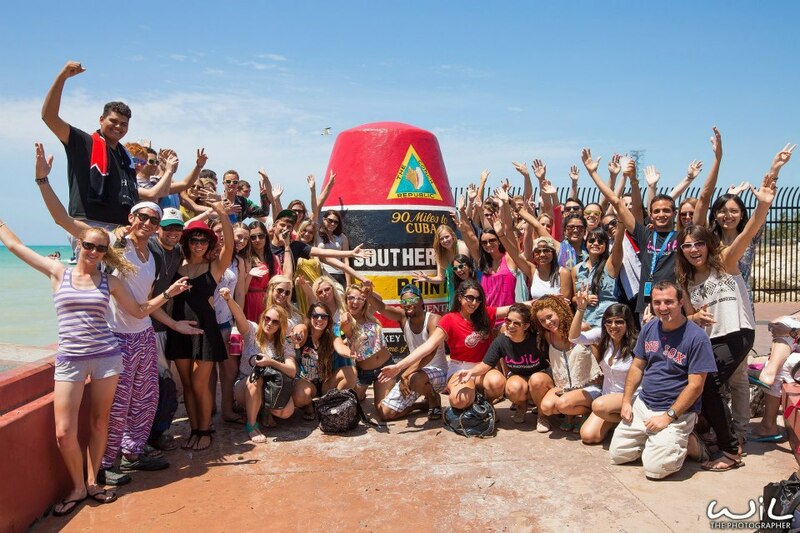 Travel Edition: Adventure in Key West, Florida! Last spring I took a trip down to the Keys for a little sun and sand but what I found was an adventure! I have never seen water so clear and sand so white! Upon arriving at Key West, the tour bus I was on with about 35 other people dropped us off at the southern most point of Key West and the United States. In fact, we were 90 miles from Cuba! We took photos and then planned the rest of our day on the island. This was an adventure I took on my own. I vaguely knew a few of the other people on the bus from my Disney College Program (blog to come on my experience). I spent half the day navigating the island by myself and the other half with the entire group. Shortly after I returned from Fort Zach Taylor beach (on a vespa!) I found my way to a snack shop by the dock. 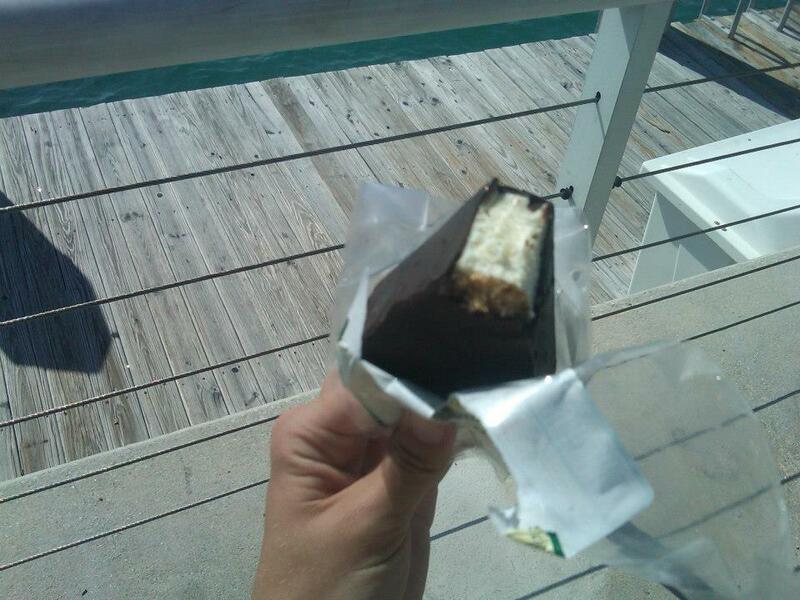 The wonderful treat I got to try was frozen chocolate covered key lime pie! I’ve never tasted something quite so unique and refreshing in my life. It was perfect after an afternoon on the beach laying in the sand (and stone, ouch!) of Key West. My next little adventure started soon after my frozen chocolate brain freeze ended. I had purchased a ticket to go snorkeling for $50. I assumed I’d just be swimming around in the water looking at sand and nothing really interesting. 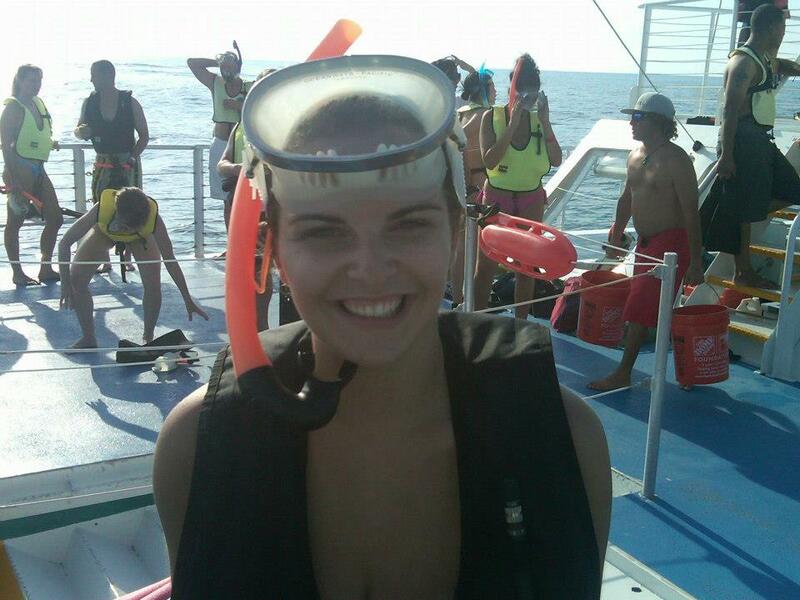 Instead we went out on a catamaran and sailed a few miles out into the water to snorkel at a reef! There were roughly 40 people on the ship and we were all given a life vest, flippers, goggles, and a snorkel. The boat’s crew lowered a set of stairs into the water and gave us the go ahead. I waited for about 20 people to go before me (in case of sharks or barracuda we were warned about) and then finally I worked up my nerve to jump in. The water was luke warm and had high salt levels (I swallowed enough to know). I began to swim towards the other snorkelers and looked down at the sea floor below. At 15 feet deep I saw sea life that I never thought I would get to see in a natural habitat. There were tons of fish, bottom feeding sharks, some sort of sea snake, little sea turtles, and beautiful coral reefs. It was so peaceful. The first time I ever felt at ease with nature! The sun was incredibly bright, illuminating the sea floor. A school of small clown fish ran into me (literally) and a few turned to look at me and then swam away. After about an hour a half we got back on the boat and sailed back to the dock. The ride back was accompanied by a setting sun, a light breeze, fruity drinks (I had a cherry limeaide mixed with pineapple juice) and reggae music. It was a beautiful adventure and one I’ll always remember. When we got back into town the sun had set and we went to dinner. The downtown area of Key West was, in my opinion, a little sketchy. Not somewhere I’d take my children but it was great for people watching and a few hysterics. After dinner we boarded the bus to go back to Orlando. Unfortunately a few people were missing and showed up late, one passed out drunk in the back of a pick up truck. When we stopped in Key Largo she had to be taken to the hospital for alcohol poisoning. Did I mention she was underage? Anyway, all around it was a great time and a really nice memory. What’s your favorite vacation destination? Comment below! I remember tales from this trip…lol I’m sorry I missed it! lol its ok! Would have made for some great photos though! !